Windows 10 RTM has been out for about a month now after little less than a year of public Insider preview builds. The motherboard of my old, trusty, Asus laptop was slowly dying and the Dell XPS 13’s thinness and battery life looked very attractive. I decided to go for it and order a Dell XPS 13 (2015), without the touch screen. I hate dirty fingerprints on a screen and the better battery life of the version without the touch screen seemed like a better deal. I also ordered a USB 3 -> HDMI/VGA/Ethernet/USB 2 adapter from Dell. While Dell’s website tells you they will ship it in about 4 business days, it took nearly 3 weeks until UPS rang my bell with a shipment from China. By the way, Dell Belgium’s sales support is terrible. They offer support by phone and chat, but they will tell you on both channels that you have to send them an email. The Belgian support department was very abrupt and impolite. They can’t tell you why it looks like your laptop is sitting in an UPS storage facility in China without moving for about a week. The first thing I did after unpacking everything, was booting it up and installing DriveImage XML to create a complete image of every partition so it would be easy to restore if something ever went terribly wrong. Windows also comes with a tool to create system recovery images on USB sticks etc. This tool copies the recovery partition to a USB stick, together with Windows recovery tools. On a side note: a lot of programs like DriveImage XML looked very blurry on the XPS 13’s 1080p screen. If I’d simply upgrade the Windows 8.1 installation that shipped with the XPS 13, I’d get the most basic version of Windows 10. This edition doesn’t suffice for most software developers. I signed in to Microsoft Dreamspark and got the free Windows 10 Education Edition I’m entitled to as an IT student. I had the choice of installing the Enterprise or the Education edition. The Education edition comes with more features than the Home/Pro Edition and I figured the Enterprise edition wouldn’t be as easy to install outside of a domain. I rebooted the machine with the Windows 10 installation media and deleted every partition on the SSD. After the installation, Windows 10 guides you through the final steps of setting up your new PC. The blurriness was back. About every non-modern app looked blurry. Probably driver issues, right? Dell’s support site says that the XPS 13 is ready for Windows 10. Okay… But the driver section doesn’t even have a graphics driver. I installed all the available Windows 10 drivers and some Windows 8 drivers which weren’t available in the Windows 10 section. I found drivers for the Intel HD 5500 and some other Intel components on Intel’s website and Realtek’s website has Windows 10 drivers for SD card reader and the audio chip. The installation of the graphics driver failed miserably. In the final step of the installation my screen turned black, showing just a white mouse pointer. It stayed that way for more than 15 minutes. Although, after a reboot (had to press the power button for a few seconds), the driver seemed to be correctly installed. The installation of the audio driver just failed completely. The first step of the installation uninstalls your existing driver and asks you to reboot. The second step should install the new driver, but after a reboot the installation process started over. I stopped trying after 4 attempts as audio seemed to be working fine. It was still there. I fiddled a little bit with the Intel HD Graphics Control Panel and enabled some settings that should improve the quality of textures. That was a bad choice. If you enable most settings in the 3D section of the control panel, textures in modern apps will look very dark and the Windows 10 start menu becomes one dark grey mess. Disable all settings in the 3D section of the Intel HD Graphics Control Panel on Windows 10. My next try was ClearType. This helped a little bit with the blurriness, but not that much. Finally, I played with the DPI scaling. The factory default is 150%. I found that 125% is not too blurry and not too small. I’d prefer a non-blurry screen on 150% scaling though. I concluded that most Windows applications simply aren’t built with high DPI screens in mind. It’s the retina story of the new Macs all over again. 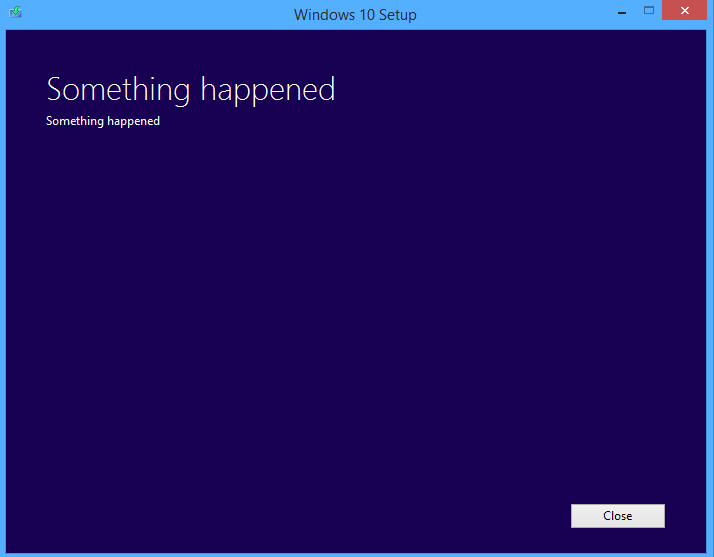 Windows 10 tried to install an update for the touchpad driver and kept on failing. This was a known issue you could safely ignore. Microsoft offers a utility to hide some specific updates. Installing and plugging in the Dell adapter I bought, gave me BSoDs and a lot of other crap. Installing a recent driver from DisplayLink, its manufacturer, fixed it. Sometimes the audio driver went berserk and the sound became very distorted. Disabling and enabling the Realtek HW audio codec usually fixed it temporarily, but it was finally fixed after installing a new version of the Realtek audio driver last week. This issue reappeared a few hours after publishing this post. Dell offers a great utility called Dell Command | Power which you should definitely install if you own a recent Dell laptop. You can optimize various settings that avoid battery wear (e.g. optimize the charging algorithm for a laptop that is often plugged into the charger or keep the laptop extra cool). You can also use this trick to enable some settings in the control panel that were hidden by the manufacturer of your device. The latest version of the Wi-Fi driver that’s available on Intel’s website fixed an issue where I would experience a very slow Wi-Fi connection from time to time. Usually, when I close the lid of my XPS 13, the laptop immediately goes to sleep. When I open it up again, everything is back up and running in less than a second. So far, so good. The only action that gets my laptop out of its coma is holding the power button down for a few seconds, then it starts booting up again. If you want to see Windows from a new perspective, connect an external monitor with a different DPI scaling than the one on your laptop screen. All sorts of crazy things start to happen. I suspect the issue above is related to this one. Windows rarely gets it right on the first try. Sometimes it uses the higher DPI scaling on both monitors. It never picks the default DPI scaling (100%) for both monitors. A reboot usually fixes most of my issues, but they often reappear when I resume the machine from sleep. I am seriously considering buying an extra monitor just so I could use the same DPI scaling on both screens… Rebooting Windows doesn’t take more than 10 seconds, but you still have to close all your programs. Dell promises 10+ hours of battery life with this laptop. I never even got close. You’d probably only get this with your laptop on the lowest brightness setting in flight mode. I usually get up to 8 hours with light usage (browsing, reading…) and up to 4 hours with heavy usage (running multiple instances of Visual Studio and building about every 15 minutes). I’m quite happy with the battery life, it’s not as good as expected, but still a lot better than what you get from most other (non-Apple) laptops. Software developers need to start thinking about high DPI screens. I didn’t even get the 4K screen. I love the thin bezels and the screen looks very good except in direct sunlight. I highly recommend playing a little bit with the settings. A lot of people seem to be complaining about some kind of lag or delay. You can adjust this delay in the settings. I’ve put it on the shortest delay, but haven’t disabled the delay completely. The touchpad works fine; it registers everything I want it to. The keys are very thin but typing is very comfortable. The backspace and the FN buttons are placed awkwardly (especially if you use multiple desktops in Windows 10), but I got used to it. The performance really depends on the configuration you pick. I picked the Intel i7-5600U with 8 GB of RAM. I would have loved a 16 GB configuration and all you can upgrade is the SSD. It isn’t as fast as the quad core i7 with Hyper Threading I used to have, but the difference is hardly noticeable. I’m very happy with my XPS 13. The battery is great, it almost never gets hot and it’s very small and lightweight being a 13-inch laptop. Microsoft, Dell and their partners seem to be working hard on fixing driver issues and making Windows 10 a very pleasant experience. The DPI issues I mentioned would probably also happen on other high DPI laptops. I have never used this laptop with Windows 8.1, which has a different DPI scaling system. There’s a utility available online which reverts your DPI scaling system to the one in Windows 8, but it made the situation even worse when I connected an external monitor.